January 10, 2018, 9:53 a.m. Recently, news broke that the Virgin Trains East Coast (VTEC) contract had been terminated three years earlier than planned. When former Labour minister Andrew Adonis resigned from his role as government infrastructure tsar he hit out at transport secretary Chris Grayling, saying that the decision to release Stagecoach and Virgin from their contract could cost the tax payer millions. Virgin boss Richard Branson responded to his critics saying that he and Stagecoach boss Brian Souter would not be benefiting financially from the decision. This news was compounded by rising train fares that have prompted anger from commuters, and occasional travellers alike and last week Virgin Trains East Coast’s Twitter account was criticised for the inappropriate way it responded to a complaint from a female passenger. 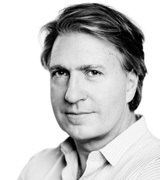 But what do consumers think of the brand’s various rail operations? 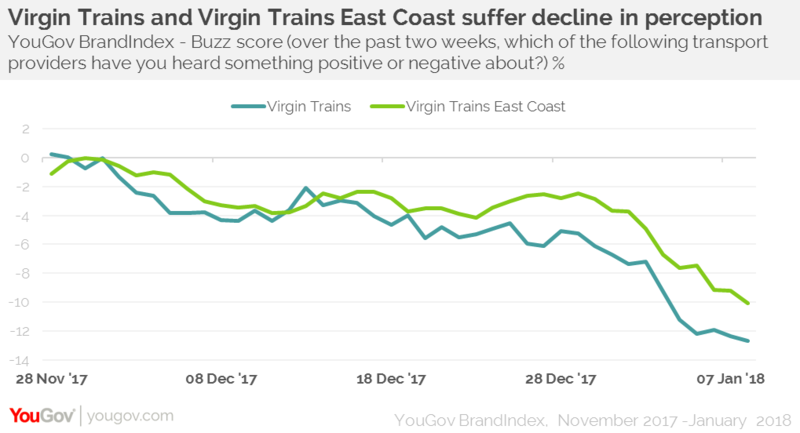 YouGov brand tracking data (which follows both Virgin Trains and the East Coast franchise) shows that since the termination of the brand’s contract was announced, VTEC’s buzz score (whether or not someone has heard something positive or negative about the brand) dropped from a score of zero to minus 10. Virgin Trains score dropped even lower, to minus 13 points. In terms of its value score (which of the following transport providers do you think provides good value for money? ), perception of both Virgin rail brands have fallen. VTEC dropped from a score of four on the day of the announcement to minus 12 by 8 January, and Virgin Trains has fallen even lower in the same time period, to minus 18. While public perception of the brand may have taken a hit, the way rail franchising works means consumers have little choice but to use the brand on many routes. The news of the ‘bail-out’ may feed into a wider sense of dissatisfaction among those who use the railways, but it’s likely that Virgin Trains won’t lose a significant number of its customers as a result. Interestingly, our data indicates that consumers don’t separate problems on one line or franchise from the other, with adverse headlines damaging perception across the board.